My sister and I read The Star newspaper about launch of The Star ePaper. 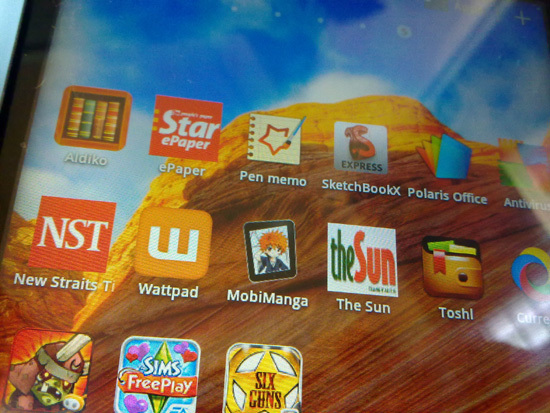 So, we tried to download new app into iPad 2 and Samsung Tab Plus 7.0. 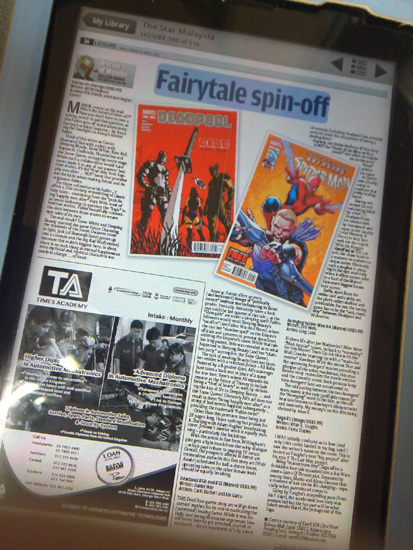 My mom fell love with this app after she enjoyed to read The Star ePaper via my sister's iPad 2! She mentioned that it is very easy to view the bigger because she enjoy to zoom in or out on the news! 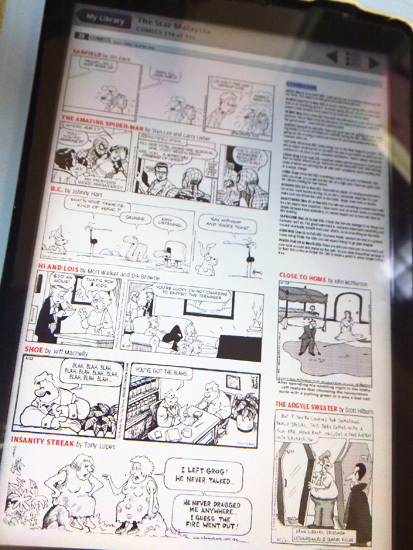 But, we are using this ePaper for one month - trial only. If you really want to read the newspaper online on everyday, you need to make subscription to pay monthly. Don't worry, you all can download this app for FREE trial month, 1- 30 April only. You better try to test it 1st if you interested in! You can register to make new account and download it from http://thestar.com.my/subscribe/freetrial.html with your PC or laptop. Remember, please not register account from this app when you installed in your tablet. After you make new account at your PC or laptop, you have to activate your free trial account from the confirmation e-mail when you open your email. You have to click this link of activation then, it is okay already. 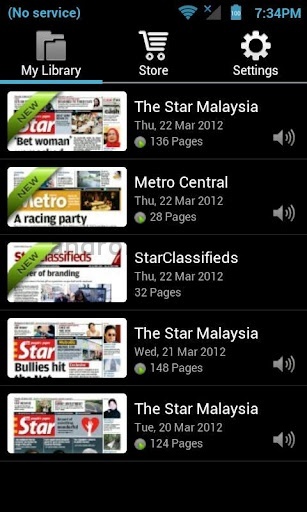 You go to check "The Star ePaper" icon then open it at your tablet. You click "Setting" > "Account" > Authorize to make username and password. Complete! After free trial finished, they won't ask for your credit card information to pay. Don't worry, you will decide yourself if you want to pay for this or not. The The Star ePaper is the digital replica of Malaysia’s leading English daily, providing you news stories and articles that inform and inspire. With The Star ePaperr, the exact look and feel of the newspaper is preserved, while offering you the freedom to choose how you want to get your fill of daily news – be it on your smartphone, tablet or personal computer. Please download from Android, Google Play or Apple iTunes. Cool! I love this because this is very clear and easy to read The Star ePaper! So, I feel that all newspaper will change to the digital newspaper online, one day more people buy the tablets like iPads, and Samsung Galaxy Tabs? What are you thinking of ePaper?